Water helps in weight loss. Water increases the metabolism and reduces the appetite. A person should drink at least 2 glasses of water before every meal, which will help them consume less food as drinking water before a meal makes your tummy feel full. In the process of weight loss, one should replace sweetened soft drinks with water. Drinking water is very advantageous for the kidneys. It is difficult for the kidneys to function properly without adequate intake of water. Water dilutes the stone in the body and instead helps in the formation of minerals and salts in the urine. Hence, you should never stop drinking water as doing that can lead to kidney stones. Drinking lots of water everyday helps in reducing the risk of heart problems. There is a study which says that women who drink more than five glasses of water everyday are sure to reduce the risk of heart diseases by 41%. At the same time, men who drink more than 5 glasses of water daily can reduce the chances of coronary heart diseases by 54%. Drinking plenty of water can prove to be very beneficial for the skin. Water helps in moisturizing the skin while increasing the elasticity of the skin. 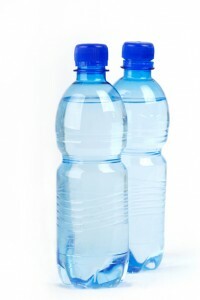 Water helps in reducing acne and helps keep your face clean and clear. Therefore, drink adequate amount of water as it helps in maintaining the glow on your face. Water plays a vital role for the stomach as it helps a person in proper digestion. Drinking adequate amount of water helps the waste particles to smoothly pass through the digestive tract. Right amount of water intake prevents a person from gastritis, ulcers and heartburn. Drinking adequate amount of water during pregnancy is essential. It is important for pregnant ladies to consume good amount of water as it helps in increasing blood supply and also benefits the growing baby. Also during breast feeding the baby, you should drink a lot of water as breastfeeding makes you feel dehydrated. Proper consumption of water also helps in ways like having less muscle cramps, maintains the body temperature, helps in proper functioning of the brains and above all boosts the energy levels. Therefore, one should drink lots of water daily for a healthy lifestyle.